Home » Transportation » Transportation – hurry up! Please note the last day for the reservations of transportation is Tuesday, 22nd January! 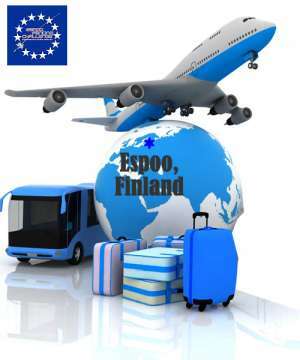 The organizer can provide transportation service from Helsinki-Vantaa Airport to venue / Radisson Blu Hotel Otaniemi, Espoo (only 50 meters from the venue).Transportation will be scheduled according to the participants arrival list after the registration time has ended. Fares of transportation service: from or to airport 15 € /person. The total sum for the the whole team will be paid by cash during the arrival transportation or by bank transfer . For the reservations, please fill the Transportation Form as early as possible, not later than Tuesday, 22nd January! After the closing time we might not be able to organize you the transportation.